Does Opal Palace work when casting from Hand? 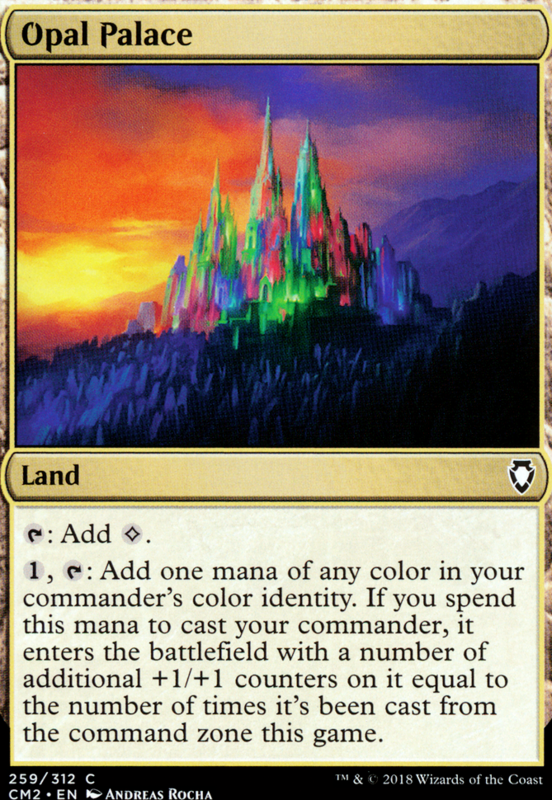 , : Gain one mana of any colour in your commander's color identity. If you spend this mana to cast your commander, it enters the battlefield with a number of +1/+1 counters on it equal to the number of times it's been cast from the command zone this game. Yeah...yano..yeah, you're right. A lot of token decks wanna put counters on stuff. I could just steal their lord if I wanted to with Cytoplast. Agreed! I already plan to cut Razaketh, and Massacre wurm is too expensive for me to buy 2 and possibly only end up using 1 in my Teysa deck lol. SO right now, only Teysa gets one. I think Dreadhorde Butcher (did it work? lol) could be a 'decent' include. Not OP, but definitely good value. Angrath, Captain of Chaos also seems like it could be decent. regarding the manabase, you just gotta make whatever you can with what you've got. if i could afford to just drop $100 on Scalding Tarn it would obviously be a great addition, same for Volcanic Island or any number of other lands. so far i haven't had any issues with it the way it is, but i'm not making a 100% competitive list or anything here so it is what it is. 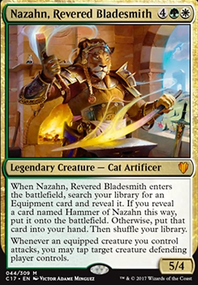 as for Shivan Reef specifically, i did have it at one point, but since i'm in a 50%+ black deck i cut it in favor of shifting to more UB and RB lands since that's the color i need most. 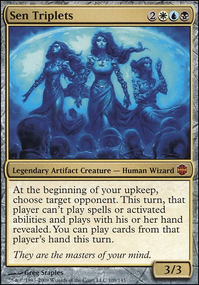 I agree, i'm not a fan of the steal everything type of lists people often make with marchesa, but Thief of Sanity has been pretty good so far and Cytoplast Manipulator does a lot of work because you can either steal someone else's creature or graft counters to your own guys. not to mention +1/+1 counters are pretty common in EDH so you might not even have to use graft for other people's creatures. food for thought i guess. Nicol Bolas, the Ravager Flip forces them to discard their removal so what can thy do about it. muahaha! 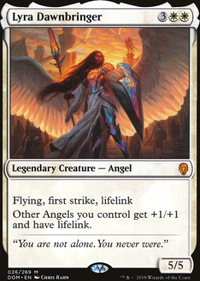 re: Opal Palace etc.. with a deck that is as highly commander focused as this it's pretty important to ensure that she stays on the board. often it's better to play something on T4 that can attack / be sacrificed as soon as she comes out on T5 (with safety) rather than her on t4, and hoping to have had something good on T3. I think Hall of the Bandit Lord fills the same role, but i haven't played with one ever so i couldn't say how well it works. Razaketh, the Foulblooded and Massacre Wurm are definitely cards that i don't think i would miss and wouldn't prioritize them. I've been watching WAR spoilers, so far nothing has definitively struck me as being a sure thing here, but we'll see how it goes. Dimir House Guard - Yeah, I'm trying to dial back the power level a tiny tiny bit, but increase the consistency. I'm already targeted quite a few times at the table when I play Marchesa. Opal Palace - Yeah good point, I'm just not sure how much I like dumping that many into only a counter. I know the deck runs on counters, but I like playing Marchesa earlier, not later, which happens when you have to pay 5 for her to come in and get a counter. Scry lands - Yeah, no. I have 3 decks. And plan to build another. If I got OG duels for each, I'd be broke lol. But they do seem slower than some other more budget options out there to me. Helm of the Host - I can see that, yeah. I just thought it could do some work for another dethrone trigger, or ETB effect, no? Lifegain - I'll look into the wurmcoil, collar, and gray merchant. However, for stealing a lifegain creature, I don't run either of those creature stealing creatures. Though I have considered Hostage Taker , I have this feeling that if I add one or two, then my list will become one of those "steal everything" marchesa lists. And I'm not a fan of those. It's too reliant on your opponents to me. Krav, the Unredeemed - Yeah, I was more so thinking to use him as extra card draw, lifegain, but you're probably right. Kokusho, the Evening Star right?!? That flying can just run people down. And an (almost) auto 15 life swap is way better than what I think Gray merchant could do. You could get there, but it requires more setup with Gray merchant..
Ahhh, I did forget about the reaonsing for cutting Herald of Secret Streams , so Embargo might just screw me over more than help. Idk, to me, Hall of the Bandit Lord seems better than Guildmages' Forum and others, because most times it'll put you on dethrone, cast marchesa, and you swing and get the counter anyway, instead of having to wait a turn to pay the extra mana from the other lands that add counters. Yeah haha I know, nothing really exciting, BUT necessary in a 3 color deck. If I could, I would add a Mana crypt, but...no lol I'll look around for other mana rocks. To be honest, I've been considering cutting all of the signets... I noticed your list and a few others don't run any in the deck. Too low of a curve to justify it? Waste of a turn 2/3 play? Who knows. I've tried several of the cards from your cut list and I'm obviously not running several of them, my thoughts are Dimir House Guard and Sidisi, Undead Vizier are easily replaced by (better) tutors and you could easily make due with fewer tutors than i'm running, especially if you're trying to dial things back a bit. I like Razaketh, the Foulblooded as a top of the curve finisher creature with upsides. for me i have a decent amount of artifact ramp to be able to cast him (and Shifting Shadow to maybe grab him for free), but I will readily admit that he's at the absolute top of my curve and could easily be replaced since he doesn't really add too much to the deck. he's just a "win more" card really and I don't think I would miss him all that much if i cut him. Guildmages' Forum is better than Opal Palace in my opinion and i don't see much need to run both. Forum lets you put a counter on any multicolored creature (which i have several) and palace only on marchesa, so it's a straight improvement. Forge of Heroes sounds like a terrible mobile game, but it's a great insurance policy on marchesa and unlike opal palace, etc. you can use it even if it isn't your turn. 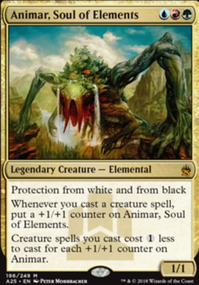 the scry lands obviously could be replaced by ABUR duals or something, but i'm not made of money and haven't ever really felt they were hindering the deck so may as well keep them. I don't really rate Helm of the Host too highly, it doesn't do anything in particular for the deck and it costs soooo much mana. I'm running Massacre Wurm as a newer addition and so far it's working out, though i'm not 100% sold on it. it mostly clears tokens and Elvish Mystic s and such, but the life loss on it can be fairly substantial. i could go either way on it right now. Nicol Bolas, the Ravager Flip is amazing. i would play it even if it didn't turn into a planeswalker. 4/4 flying ETB opponents discard is already super good. i usually don't even bother to flip him most of the time. if you were going to add one card this is high on my list of recommendations. he's performed strongly every game i play him. Krav, the Unredeemed is kind of high on the mana curve for this kind of effect. considering he doesn't have flying (oddly) or any other evasion i'm not a big fan of using him as a beater, and so he's in a bit of a rough spot. i actually think i would rather have Kokusho, the Evening Star than Gray Merchant of Asphodel simply because he's a bit more useful on the board. i don't think Keiga, the Tide Star is a good choice though. it's highly over costed and has hoops to jump through. Cytoplast Manipulator is significantly better in a variety of ways. i don't see any reason to run Judith, the Scourge Diva she's not really better than Blood Artist or similar and there's plenty of effects like this in a variety of forms (creature, enchantment, etc) i think the incidental life loss to a single player or a couple points of damage to a creature is not going to really be anything to write home about and in EDH when you have 120 life to deal with it's just not good enough. I don't see any point in running Embargo as it doesn't synergize with the deck particularly well. i suppose you could try to use it to keep your opponents creatures tapped down for some swings, but i dont really think there's much point in it. i speak similarly about Herald of Secret Streams in my write up. Hall of the Bandit Lord is might be worth running, but i haven't ever tested it. Coalition Relic is fine, it's a cmc3 rock. nothing special. i would recommend you run CMC2 or less rocks if you can, but as far as CMC3 ones go it's on the better end. feel free to mess around with cards in my maybe board if you're looking to try some different things. i haven't tried all of them, but they're things that have caught my eye from time to time. I was wondering if I could get some advice. How can I improve my deck? I don't wnt to make it super OP. But more fun, and resilient. All the life loss to stay on the throne is sometimes, a lot of times, an issue. In multiplayer I may take out 1 person, 2 sometimes, but then I'm the next to go. I'm thinking of swapping some cards. Big list of cards I'm considering. How have these cards worked for you if you've played with them? I know there are a few different types of cards in there, but you can see where it's going. I want to recoup some of the life loss, increase mana, make the deck a bit faster, etc. Some land choices you might consider: Path of Ancestry , Fortified Village , Scattered Groves , Sheltered Thicket , Sungrass Prairie , Terramorphic Expanse , Blighted Woodland (ramp on a land), Opal Palace . Clifftop Retreat is good if you already have it. 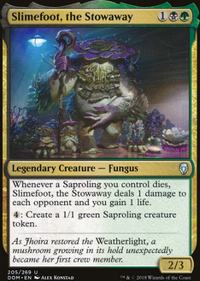 Gruul Turf , Selesnya Sanctuary and Boros Garrison allow you to go further on land drops and ramp. Sometimes, you will have to pay 14 mana for your commander, so be ready for that. Solid list, I build a deck like this using basically every charm I could find and slowly took them out the add in good cards. Eventually I just started playing Siege Rhino as a finisher and that was where this deck took me. I like your idea for a build to say no mono and see what happens. Enjoy the journey. A few thought from my experience building with this commander. Ramos, Dragon Engine works well with some extra +1/+1 counters on it. Opal Palace is a land you probably want to add and Forge of Heroes might help you if you aren't afraid of the colorless mana. You may even want to slide in a Corpsejack Menace to get those counters going. Anguished Unmaking , and Vindicate are solid cards. Can you make room for an Utter End ? For other removal I always liked Crackling Doom . A few card advantage things you may want to look into Conflux , Rashmi, Eternities Crafter , and Etherium-Horn Sorcerer . I don't have any strong thoughts on what to cut from your list. 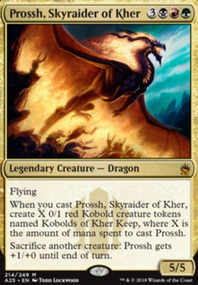 There seem to be some cards that you may be forcing into the deck to get more colors: Saskia the Unyielding , Kynaios and Tiro of Meletis , Knotvine Mystic , Counterflux , Nissa, Steward of Elements and Lord Windgrace . Each one of these cards is an answer to certain situations, but I'm not sure which ones you like/use often. Just to clarify, Jodah, Archmage Eternal is an alternate way to cast the spell; it does not put 5 counters on your commander. Since most of your spells aren't really high costed you may want to cut the archmage. 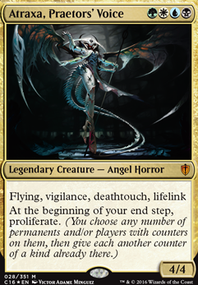 Also I noticed you aren't abusing hybrid Figure of Destiny is a solid one-drop and can grow if your colors are right. Another thing to abuse are cards like Fieldmist Borderpost , you don't run a lot of basics, so this may not be a thing for you.